This Dec. 4, 2011, file photo shows Japanese author Kazuo Ishiguro, winner of the 2017 Nobel Prize for Literature, arrive for the 14th annual British Independent Film Awards at Old Billingsgate, London. 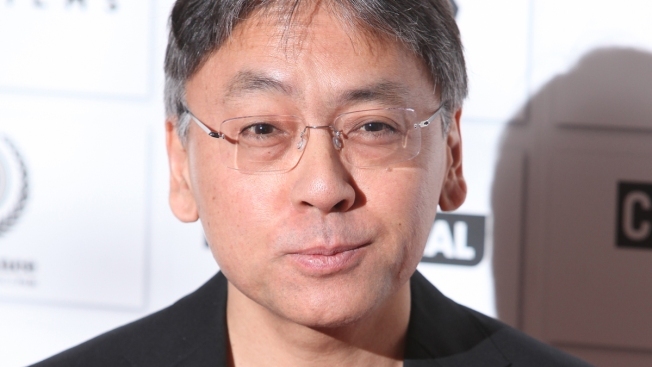 British novelist Kazuo Ishiguro was awarded the Nobel Prize for Literature on Thursday. He is known for novels like "The Remains of the Day," which won the 1989 Man Booker Prize, and "Never Let Me Go," which was made into a feature film in 2010. Born in Japan, Ishiguro now lives in Britain and writes in English. The Swedish Academy cited him for "novels of great emotional force, (he) has uncovered the abyss beneath our illusory sense of connection with the world." Haruki Murakami of Japan and Kenya's Ngugi wa Thiong'o were seen as top contenders for the 9-million-kronor ($1.1 million) prize. Last year's literature prize went to American songwriter Bob Dylan and the previous year's to Belarusian journalist Svetlana Alexievich. Alfred Nobel, the Swedish industrialist and inventor whose will established the prizes, said he wanted the literature award to honor "ideal" work, without defining the term.